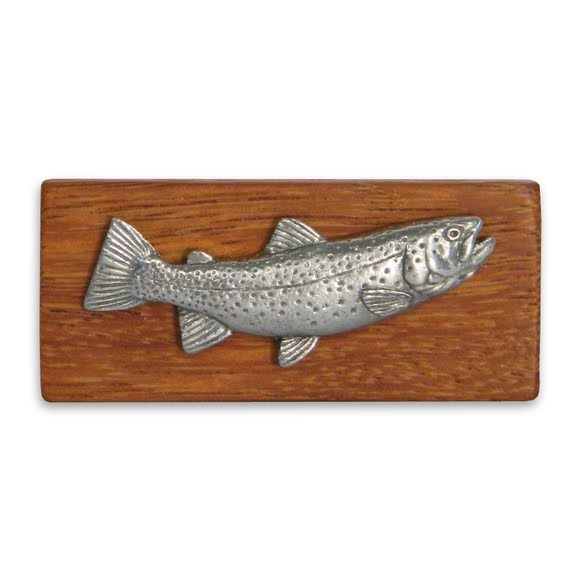 11 Outdoors' Carl Bruere personally handcrafts each of his products. A variety of hardwoods are used for the bases, each of which gets four coats of polyurethane, then waxed and buffed before the subject is affixed. This money clip is truly One-of-a-Kind. 11 Outdoors &apos; Carl Bruere personally handcrafts each of his products. A variety of hardwoods are used for the bases, each of which gets four coats of polyurethane, then waxed and buffed before the subject is affixed. This money clip is truly One-of-a-Kind . Measurements 2.13" x 0.88" x 0.38"